iPhone user? Try our VPN for iOS. Essential protection against viruses and spyware. for all your family’s devices. 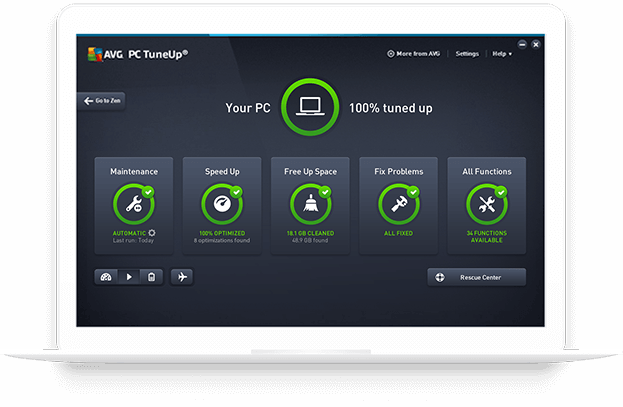 AVG TuneUp is your one-screen suite that makes your PC run faster, smoother, and longer: just how you like it. New: Software Uninstaller removes bloatware and adware taking up space on your PC, giving you more memory for the things you really care about.